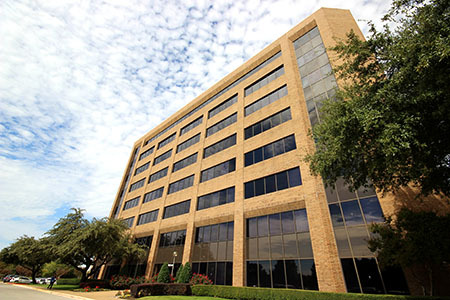 January 21, 2016 (Dallas, TX) — Boxer Property announced today that it has concluded lease renewal negotiations with their client, a leader in American construction management, for over 10,400+ square feet of office space at 4099 McEwen in Farmers Branch. Herb Hafter of CBRE (Los Angeles) and Brent Wicker of Wicker and Associates (Dallas) represented the Client on the renewal. Senior Broker Mark Dowdle and Senior Leasing Representative Gil Engelhardt negotiated the lease on behalf of Boxer Property. 4099 McEwen has 123,711 square feet of office space for rent. It is one of three mid-rise edifices (along with 4001 McEwen and 4101 McEwen) in the 11-building professional campus known as The Centre. This heavily landscaped campus offers plenty of parking as well as a walking trail and a nearby spring-fed lake with seating areas. Amenities include, vending machines, a tenant conference center, a Luby’s Cafeteria, and a health club on campus. You can find a complete list of available office buildings in Dallas, TX.